7/15 – ????? ?, ?? w/ ?????????? 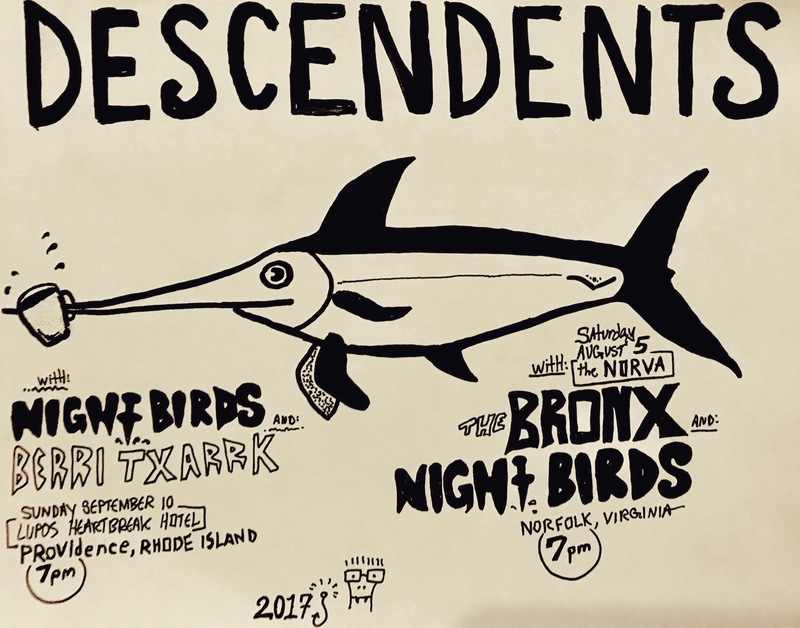 An honor to be warming up the stage once again for the almighty DESCENDENTS. 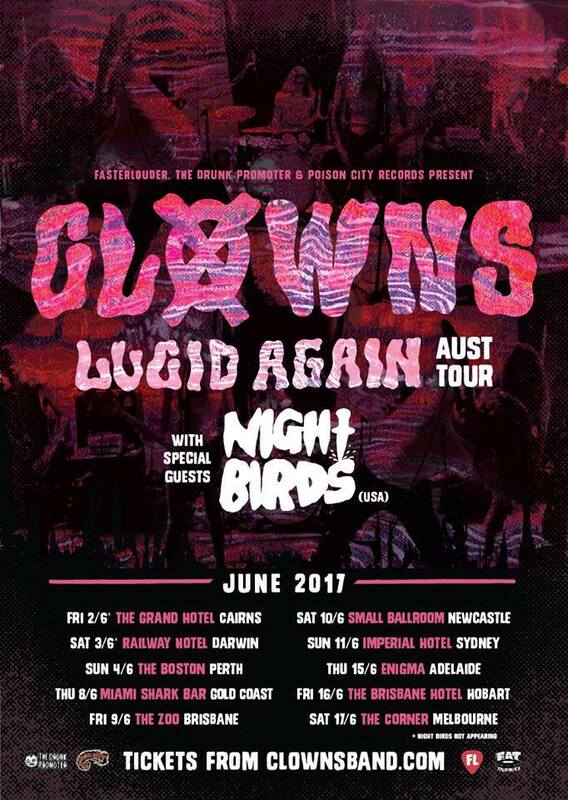 Night Birds are heading down-under for our first time as support for Clowns. Posting a larger picture of the art on this new awesome shirt we have because the tiny photo we have up in our webstore does not do it justice. 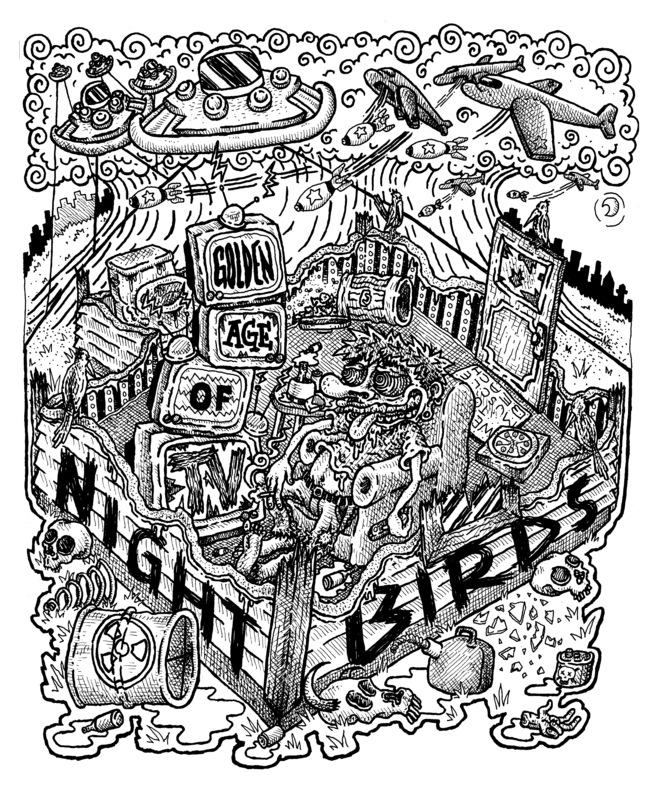 This was done by a gentleman named Zac McGovern and it came out totally bitchin. Pick one up here. 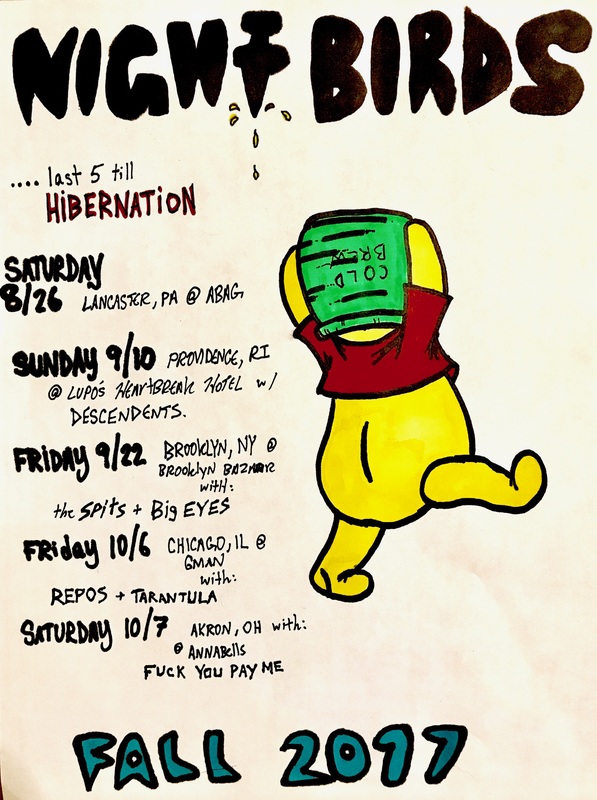 Mike Hunchback was Night Birds’ guitarist when the band started, before PJ Russo took over. Our parting of ways was very amicable and we remain close pals. 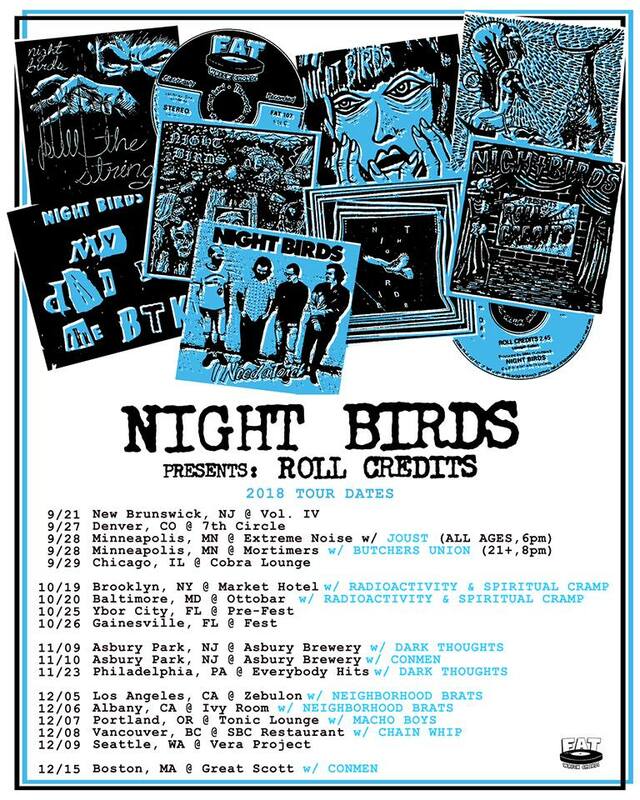 Mike continues to reside in Brooklyn, NY, runs a rad record shop, and plays in a band called Screeching Weasel. 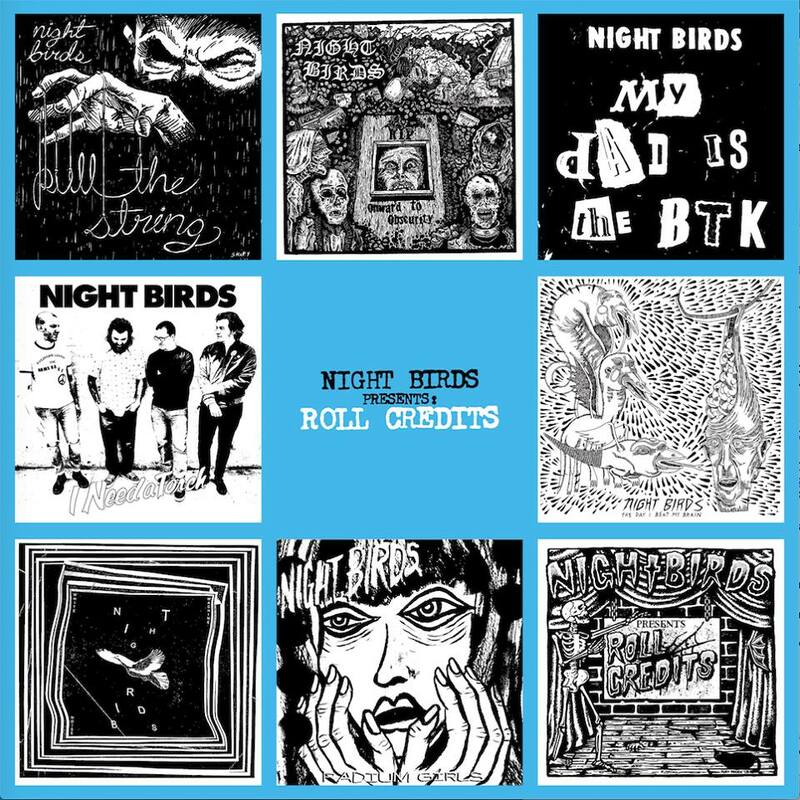 These (songs on this 7″) are some demos we recorded in preparation for some of our early records. Two of these tracks are especially interesting, in my opinion, because they contain Mike playing everything and even singing on a pair of tunes he had written for the band. 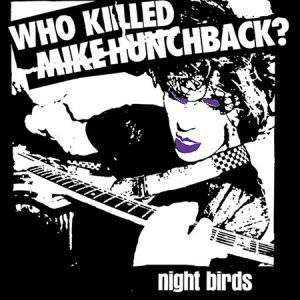 Reminds me a bit of the first Misfits single, Cough/Cool, which I think is what led to us “borrowing” the entire layout to the classic Glenn Danzig Who Killed Marilyn? EP. Good thing this is a limited run, because I think the inevitable cease and desist would have led to making it pretty limited anyway. 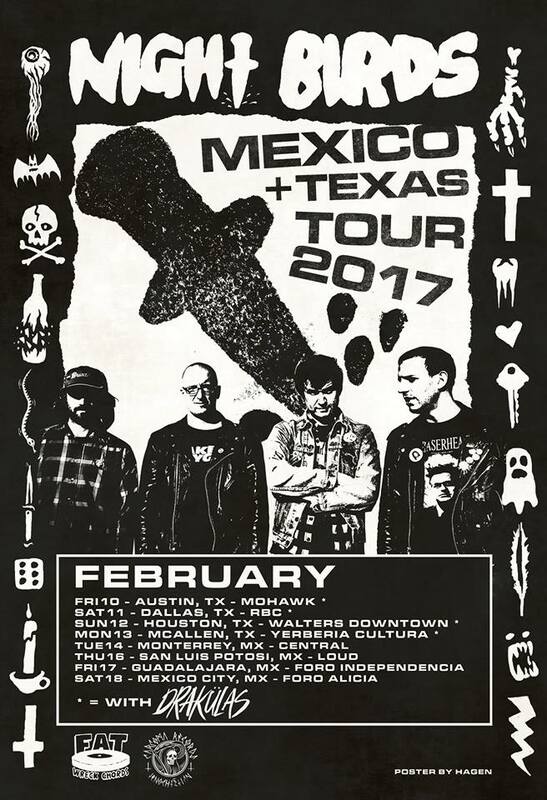 I suggest buying these things up quickly before Glenn has ‘em melted down and Fat Wreck is forced to have a pair of pants made out of them. (Out this fall on www.fatwreck.com).